Extra strong double nylon collar. Rounded buckle style. Welded D ring. 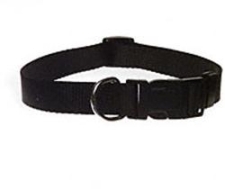 Extra strong double nylon collar.